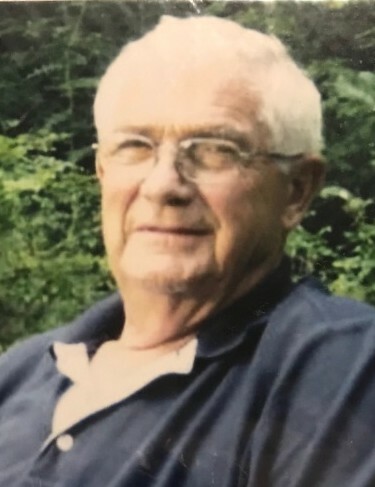 Clarence John Diefenthaler, 89, of Curtice, passed away Wednesday, September 12, 2018, at Hospice of Northwest Ohio. He was born July 1, 1929 to Otto and Luella (Lowe) Diefenthaler. Clarence married the love of his life, Ruth, on November 28, 1947, and spent 70 very happy years together. He worked on his own farm in Curtice until retiring. He loved traveling, camping, and spending time outdoors with his beloved wife, Ruth and the family that will miss him dearly. His legacy will be with them forever. His example of a man, spouse and father will never die. Clarence is survived by his loving wife, Ruth Diefenthaler; children, John (Miriam Lima) Diefenthaler, Jennifer Kitz, Susan (Jack) Shrewsbery; grandchildren, Jeffrey, Beth, Sharon, Sarah, Sam, Josh, Danny, Andrea, Kelsey; 15 great-grandchildren; and lots of extended family. He is preceded in death by his parents, Otto and Luella Diefenthaler; sisters, Velma and Charlotte; son James; granddaughter, Kerry; and grandson, Zachary. Family and friends may visit the Freck Funeral Chapel, 1155 S Wynn Rd in Oregon on Wednesday, September 19th from 2:00 p.m. to 8:00 p.m. Clarence will lie-in-state Thursday at St. John Lutheran Church, 21140 W. Toledo St. in Williston from 10 a.m. to 11 a.m. where a funeral service will begin at 11. Burial to follow at Allen Township Cemetery. Contributions can be made to the St. John Lutheran Church.